Tea for two… to the moon! 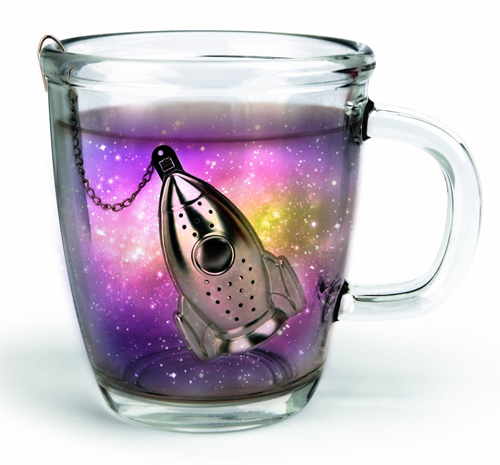 The Kikkerland Rocket Tea Infuser and Drip Tray will take you places. Or at least it will take you straight up as you wake up. 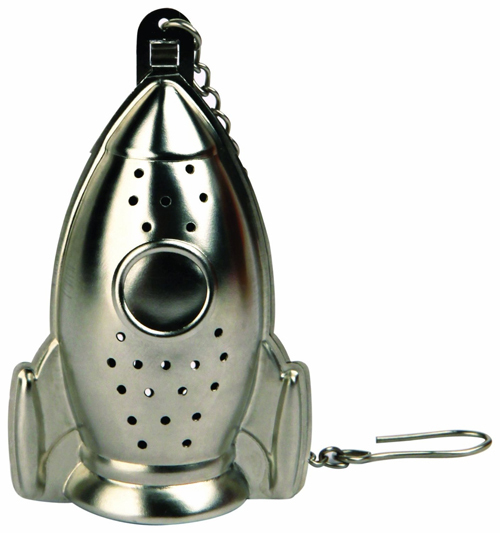 The stainless steel tea gadget features an awesome rocket design and clips on to the side of a tea cup or mug. When the nitro brew is fully steeped, just pluck out the spaceship and set it down on the included drip tray. Sorry, galaxy shown not included.